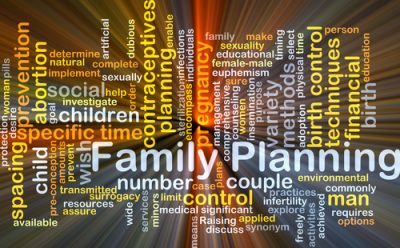 Dr Anjani Kolhi | Family Planning | Carly Snyder, M.D. Posted August 29, 2017 by Carly Snyder, M.D. Every Wednesday 1pm (ET) on The BBM Global Network, TuneIn and iHeartRadio or as a podcast on iTunes. This week on MD for Moms, I interview Dr. Anjani Kolhi, a family medicine physician who specializes in reproductive health about family planning. “There is never a good time for a baby,” may be true, but what can you do if now is absolutely NOT the time for pregnancy? Birth control options abound, however ultimately it can be difficult to decide which type is best. Dr. Kolhi will explain the various methods of contraception and also who may benefit from one over another. 50% of pregnancies are unplanned; sometimes the news of conception is a welcome surprise and other times it is a shock. Women have the legal right to terminate pregnancy until 24 weeks gestation. What are the common reasons for abortion? How does a first trimester abortion differ from an abortion performed later in pregnancy, and furthermore why would a woman choose to end a pregnancy after the first trimester? Why is week 24 important and additionally, how do women often cope after ending a pregnancy? Answers to these questions along with many more on this week’s MD for Moms. Anjani Kolhi, MD is a board certified family medicine physician with an area of concentration in reproductive health. She received her medical degree from SUNY Buffalo and subsequently completed family medicine residency at UCSF with an area of concentration in reproductive health. She also completed a leadership fellowship with Physicians for Reproductive Health. Dr. Kolhi is a practicing primary care provider in the southwest. Her clinical focus is on meeting women’s health needs and she enjoys mentoring young women who want to become healthcare providers. She is also a mama to a darling 20 month old.